‘The Emicon’ (Model S) was developed in the USA by electronics engineer Nicholas Langer and Hungarian instrument designer, John Halmagyi. The Emicon was a monophonic 32 note keyboard controlled instrument based on the same type of heterodyning vacuum tube oscillator technology first used in the Thereminvox a decade earlier. 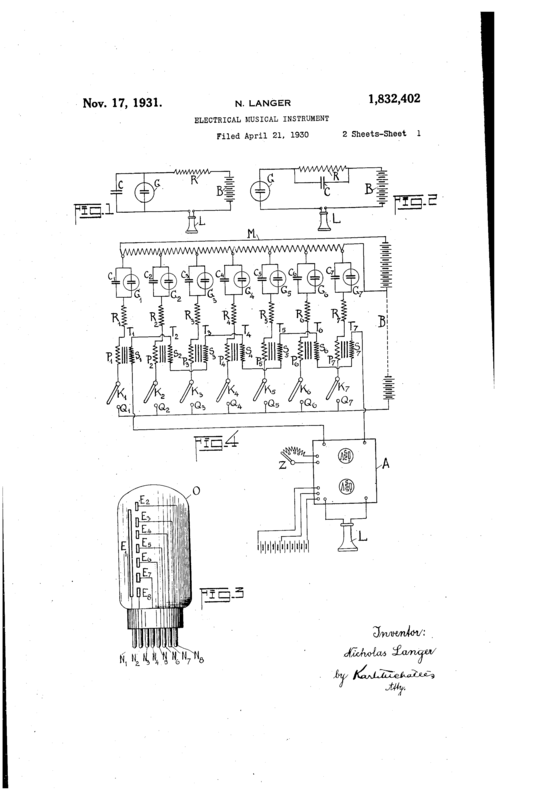 Langer designed the instrument to be able to create more complex tones than the standard vacuum tube sine wave and therefore used neon gas-discharge tubes to produce a type of sawtooth wave with richer harmonics; “In general, pure sinusoidal oscillations, when converted into sound, are not satisfactory from the musical point of view as they impress us as empty and meaningless” – Langer’s Emicon was said to be able to produce tones similar to a cello, saxophone, oboe, trumpet, mandolin, guitar and bagpipe and was said to be the instrument that inspired Harald Bode to start designing electronic musical instruments. the Emicon at the Texas Centennial Exposition in Dallas in June 1936. The instrument was manufactured and marketed by Emicon, Inc., Deep River, Connecticut, CA from 1932. A later portable travelling model was built into case with an amplifier in separate case similar to later instruments such as the Ondioline. A single example of the Emicon survives at the ‘Charles D. Stein Collection of Early Electronic Instruments’ National Music Museum, Vermilion, South Dakota, USA.